Event Time: THURSDAY @ 8:00 P.M. There are ONLY 17 seats remaining on the bus. Buy soon! 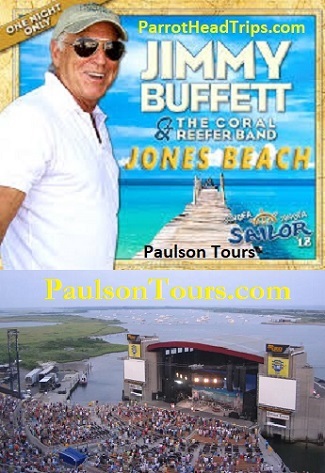 Join us to see Jimmy Buffett LIVE at Jones Beach! This venue is one of the most unique of it's kind...the stage is set in the water!!! Enjoy several hours on the boardwalk and beach and at our AWESOME party before the concert! For seating, prices or to book click on the "COMPLETE BUS PACKAGES" button at bottom of this page. Click here for TICKETS ONLY for this Concert! We can get you TICKETS ONLY for any Concert! Click above to get tickets only and than call to add "RIDE ONLY"